The most recent supernova in our Galaxy has been discovered by determining the age of the supernova remnant known as G1.9+0.3. To determine the age, astronomers tracked how quickly it is expanding, by comparing a radio image from 1985 to a Chandra image taken in 2007. The expansion rate was confirmed with another radio observation with the VLA in 2008. The difference in size between these images gives clear evidence for expansion, allowing the age of the remnant and the time since the original supernova explosion (about 140 years) to be estimated. 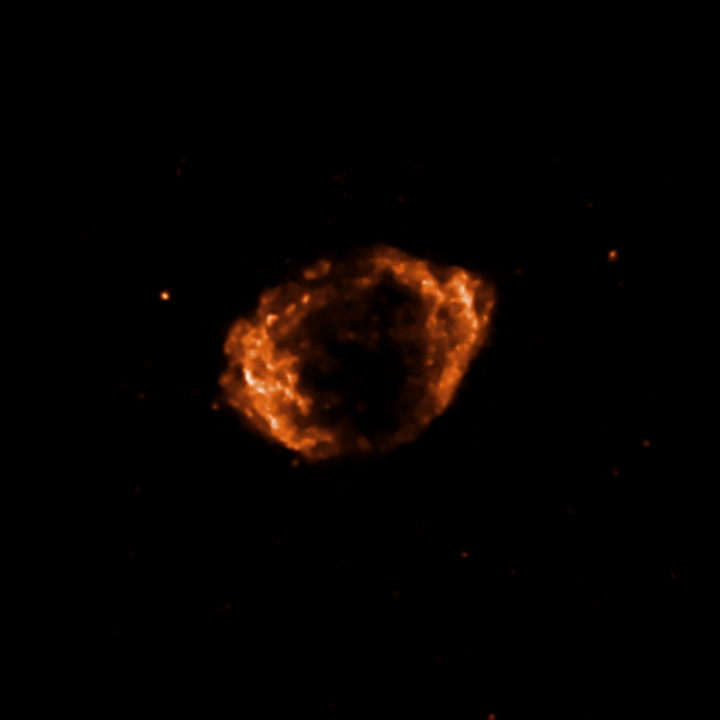 This is a radio image, from the NRAO's Very Large Array (VLA), of G1.9+0.3, a supernova remnant left behind after a supernova. 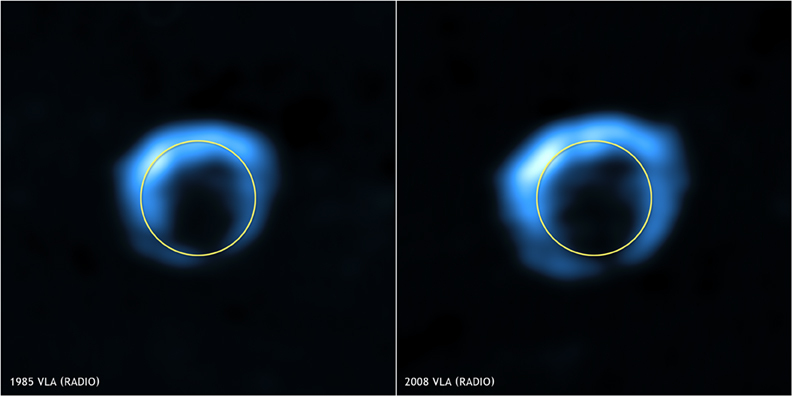 Clear expansion between this VLA image, obtained in 1985 and a Chandra image obtained in 2007 allowed the time since the explosion to be estimated. 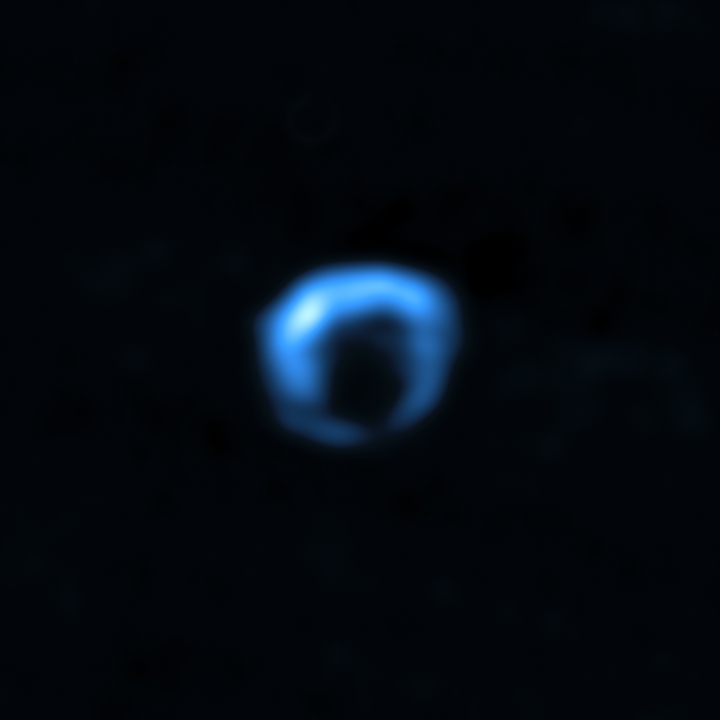 This was confirmed with a new VLA image obtained in 2008. 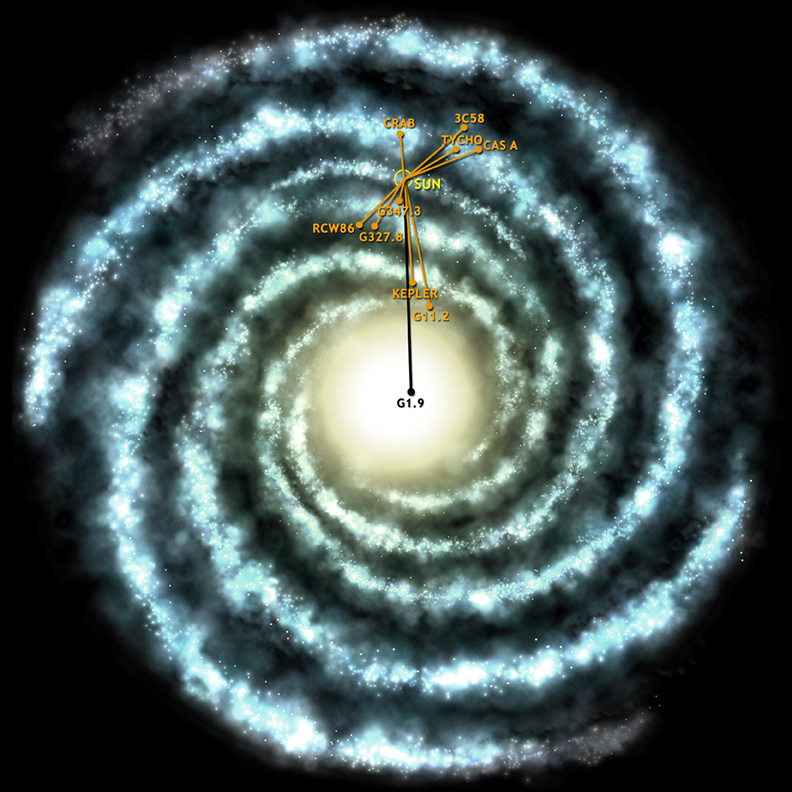 This artist's impression shows a view looking down on the Milky Way galaxy. The position of the Sun is shown, as are the approximate positions and names (shown in orange) of historical supernovas. These are stellar explosions that are thought to have occurred in the last 2,000 years and may have been seen by early astronomers. The estimated position of the recently discovered G1.9+0.3 is shown in black. Although the distance to this remnant is uncertain, the angle is accurately known. 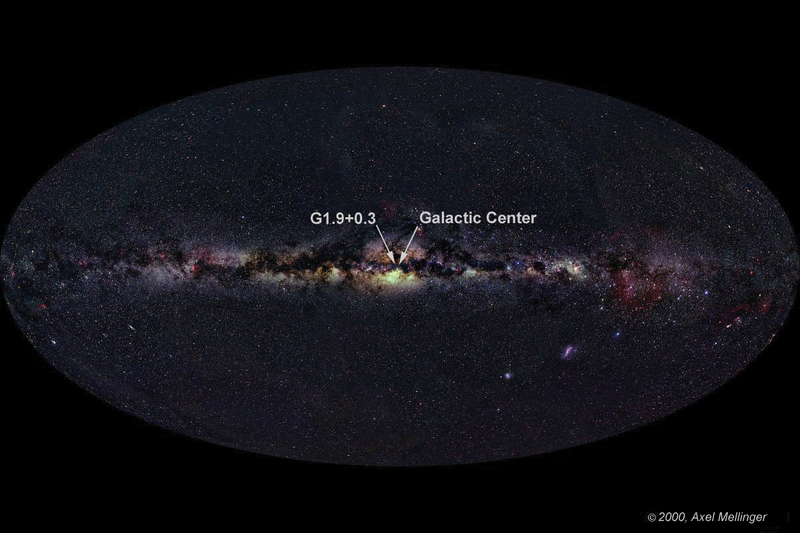 Note that G1.9+0.3 is the only object that is found in the bulge of the galaxy. 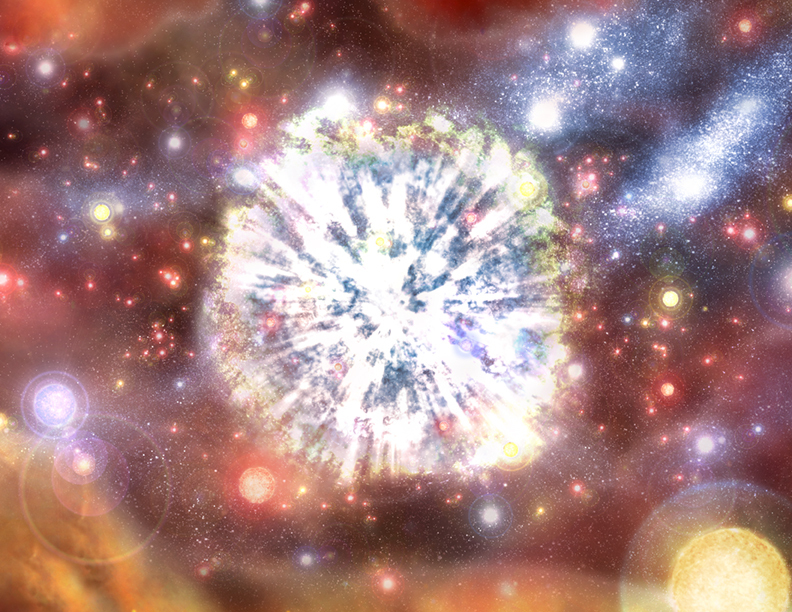 This artist's impression shows what the supernova explosion that resulted in the formation of the supernova remnant G1.9+0.3 might have looked like. The expanding debris from the supernova explosion is shown in white, including some interaction with the surrounding gas (green). 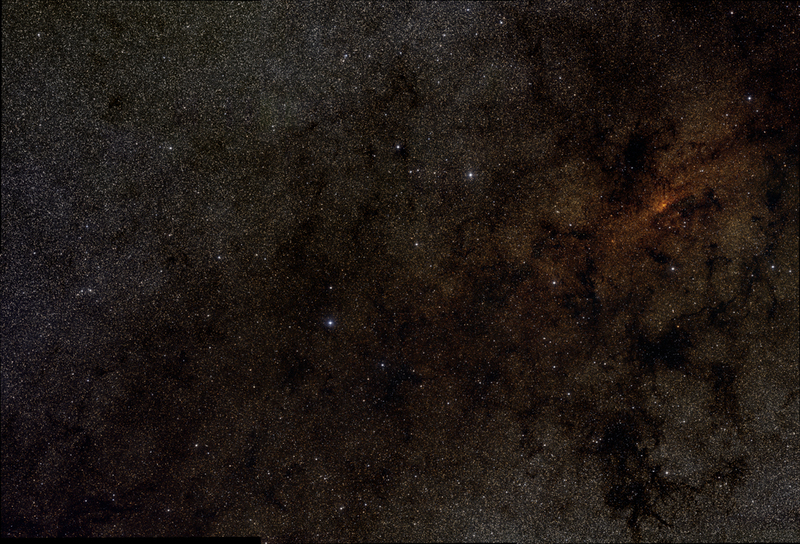 The crowded environment near the center is shown by diffuse gas (red) and dust (brown) as well as large numbers of stars with different masses and colors. 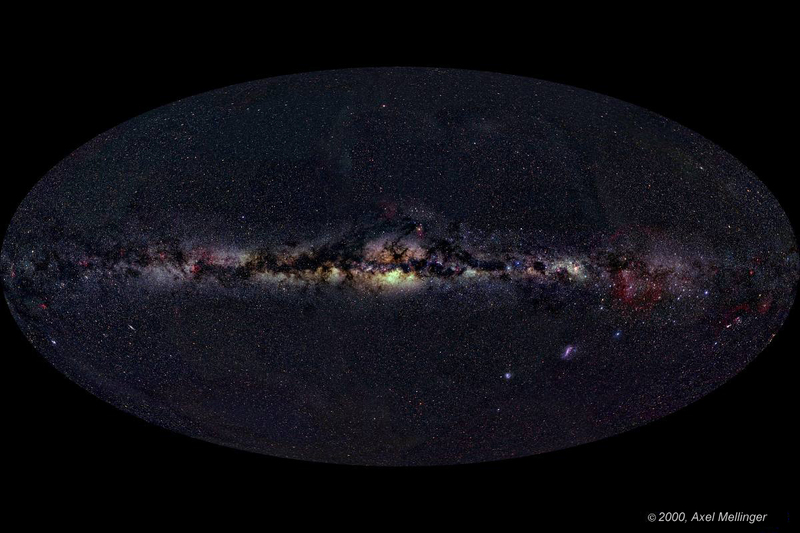 This panoramic image from the Two Micron All Sky Survey (2MASS), covering about 3 degrees by about 2 degrees, shows the central region of the Milky Way galaxy. The Galactic center is the bright red spot in the upper right side of the image. 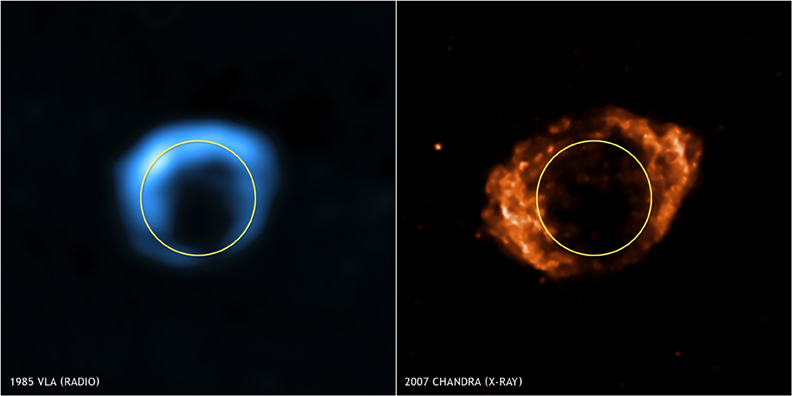 The Chandra and VLA composite image of G1.9+0.3 is shown in the lower left. The plane of the galaxy runs from the Galactic center to approximately the lower left corner of the image. A composite image of X-ray (orange) and radio (blue) data from NASA's Chandra X-ray Observatory and the Very Large Array shows the remains of the supernova remnant G1.9+0.3. 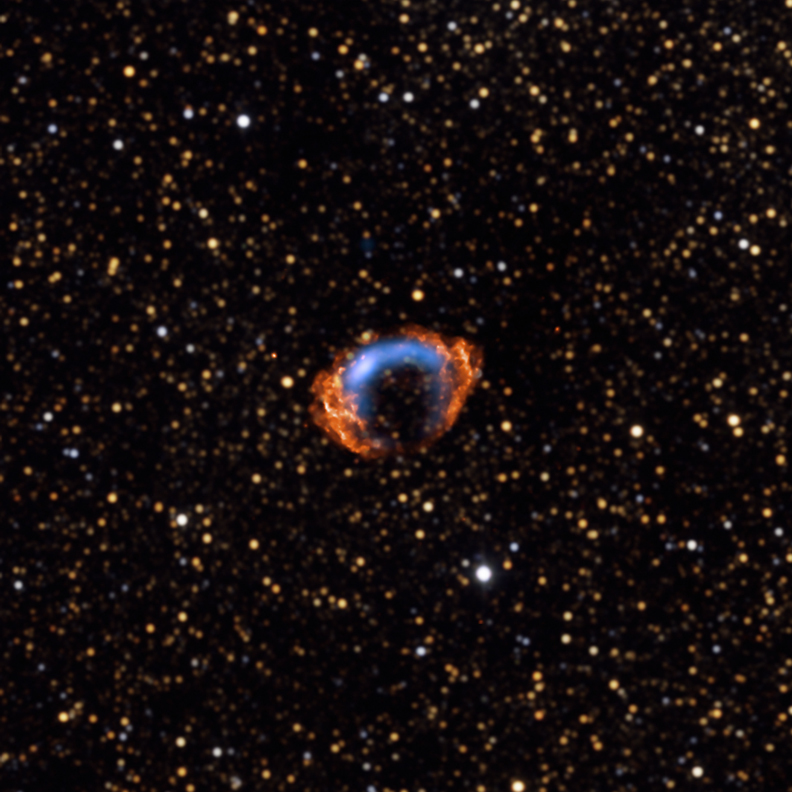 The original supernova explosion, the most recent in the Milky Way, was not detected in optical light because it is near the center of the Galaxy and obscured by gas and dust. 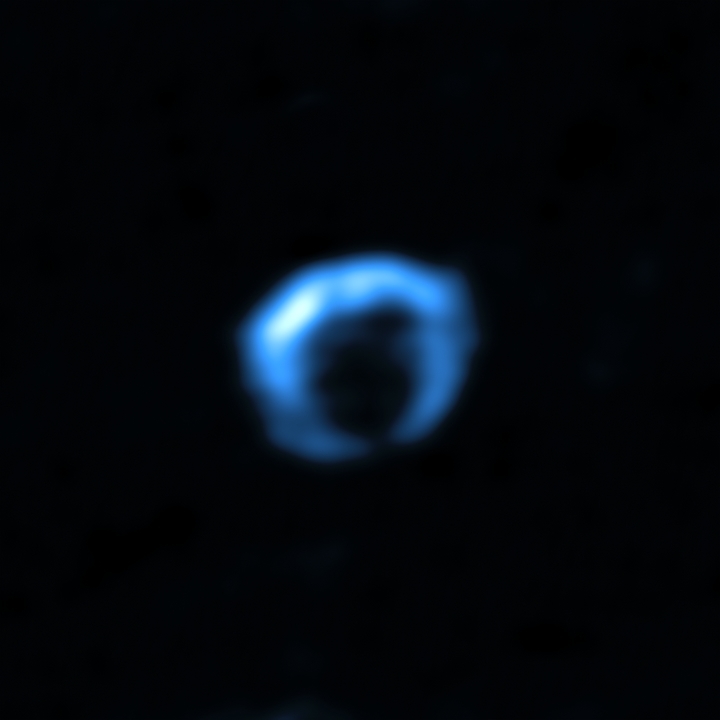 The yellow and white stars are from a 2MASS infrared image. This composite image of the supernova remnant G1.9+0.3 combines the Chandra X-ray Observatory image taken in 2007 (orange) with the Very Large Array radio image taken in 1985 (blue) and 2008 (yellow). The difference in size between the images gives clear evidence for expansion, allowing the age of the remnant and the time since the original supernova explosion (about 140 years) to be estimated.